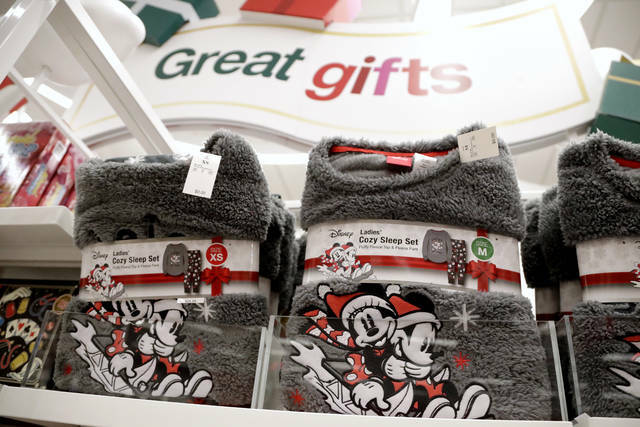 Cozy sleep items are on display near a holiday section Nov. 16 at a Target store in Edison, N.J. Cozy sweaters and soft pajamas are in for adults. Kids, meanwhile, are asking for board games featuring fake poop and pimples. NEW YORK — Cozy sweaters and soft pajamas are in for adults. Kids, meanwhile, are asking for board games featuring fake poop and pimples. Amazon is shipping its toy book to shoppers’ mailboxes, while eBay placed a shortened six-page version inside People magazine’s “Sexiest Man Alive” issue. Amazon’s will also be available at its physical bookstores, and eBay handed out a longer version at a New York pop-up shop.